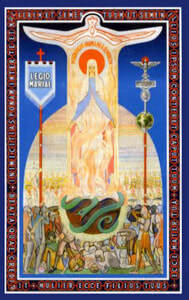 The Legion of Mary, founded in Dublin, Ireland, in 1921, is a worldwide apostolic organization of lay people in the church. 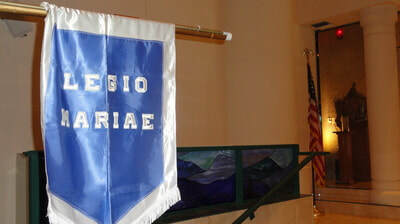 ​The Legion has a balanced program of prayer and service. through the guidance of the Virgin Mary. Members of the Legion have the opportunity to do something positive for the church while deepening their spiritual lives and strengthening their Catholic faith. other spiritual needs of the parish and community. Any Catholic who would like to draw closer to Jesus and His Mother Mary is welcome to give it a try.